Since its establishment in 1998, Microsoft Research Asia's trademark and long term commitment has been to foster innovative research and advanced education in the Asia-Pacific region. Through open collaboration and partnership with universities, government and other academic partners, MSRA has been consistently advancing the state-of-the-art in computer science. 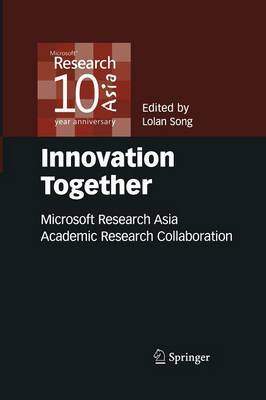 This book was compiled to record these outstanding collaborations, as Microsoft Research Asia celebrates its 10th Anniversary. The selected papers are all authored or co-authored by faculty members or students through collaboration with MSRA lab researchers, or with the financial support of MSRA. Papers previously published in top-tier international conference proceedings and journals are compiled here into one accessible volume of outstanding research. Innovation Together highlights the outstanding work of Microsoft Research Asia as it celebrates ten years of achievement and looks forward to the next decade of success.